Last week, the Girl Scouts of the United States of America filed a federal trademark lawsuit against the Boy Scouts over the latter group's gender-neutral rebranding campaign to start admitting girls. "Since BSA's announcement that it would admit girls to its core programs, GSUSA's fears about the damage that would be caused to its trademarks and the mission those trademarks symbolize have been realized," the complaint says in part, according to Bloomberg. "Throughout the country, families, schools and communities have been told that GSUSA and BSA have merged, or even that GSUSA no longer exists. Parents interested in signing up for Girl Scouts programs have instead mistakenly signed up for the new girls' programs offered by BSA." Trail Life USA CEO Mark Hancock explained to The Christian Post on Thursday that the lawsuit has generated more interest in his scouting organization. "In the eight days following the announcement of the lawsuit we saw a 79 percent increase in inquiries into starting a troop and a 35 percent increase in traffic to our website, as compared to the eight days before the announcement," explained Hancock. Officially launched on new year's day 2014 and based in Orlando, Florida, Trail Life USA continues to add to their number of local troops and overall membership. According to Hancock, Trail Life has 805 troops, which is a 7 percent increase compared to last year and more than 27,000 members, which is an 18 percent increase from last year. In October of last year, when the Boy Scouts announced that they were planning to admit girls into their ranks starting in 2019, the Girl Scouts were among its critics. "The benefit of the single-gender environment has been well-documented by educators, scholars, other girl- and youth-serving organizations, and Girl Scouts and their families," stated the female-centered scouting organization last year. "Girl Scouts offers a one-of-a-kind experience for girls with a program tailored specifically to their unique developmental needs." Regarding the litigation controversy, Hancock of Trail Life told CP that he believed that the legal battle was inevitable. 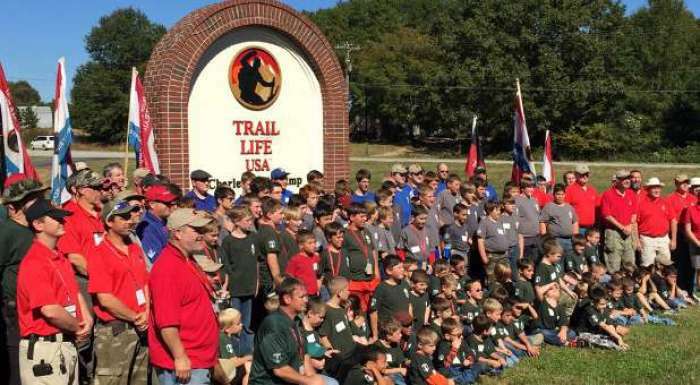 "While Trail Life USA is secure in its Christ-centered boy-focused identity these are two organizations that, although they have a tremendous history of serving youth, have taken steps to confuse their identity in recent years," said Hancock. "It was only a matter of time before that confusion would affect their membership numbers and attorneys would need to get involved."